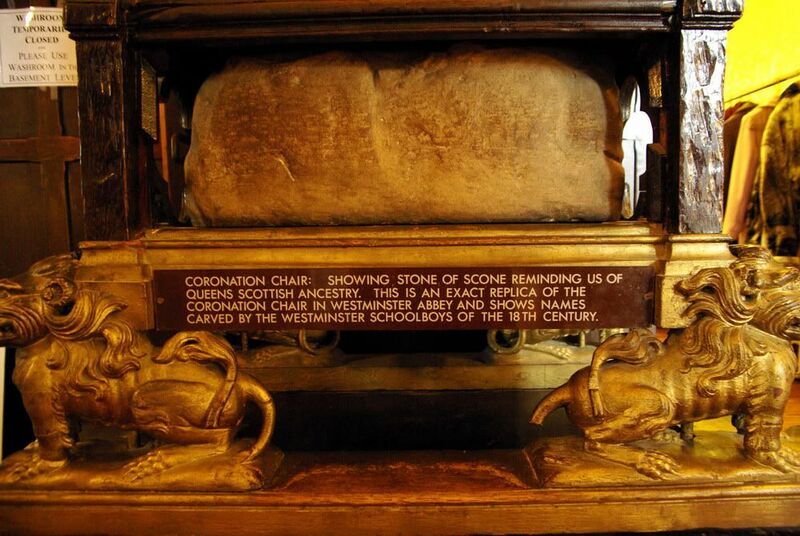 The Stone of Destiny, or the Stone of Scone, is living proof that legends can be true. The Stone is a symbol of Scottish Nationalism, and the place where every Scottish king until the late 13th century was crowned. Like the Scottish people, the Stone has had a tumultuous history. But, like the Scots, the Stone has survived centuries of English rule. The Stone supposedly has biblical origins. When Jacob wrestled with God, changed his name, and dreamt of a promised land at Beth-el (Genesis 28:11-12 , Genesis 32:28, Hosea 12:4*) he laid his head upon a stone. Legend is, the Stone of Destiny is that stone. And how did that rock end up in Scotland? Well, supposedly Jacob held on to it. If you know anything about the Old Testament, you'll know that several decades later Jacob ended up moving his family to Egypt, where they stayed for quite a while. Here's where the Bible and Celtic legend meet. See, the Celts (well, some of the Celts) believe that they are descended from the Milesian race. The Milesians left Egypt at about the same time as the Children of Israel. Scottish legend says that Scota, a daughter of the Pharaoh, fled Egypt for Spain with her Greek husband, and that she took the stone with her. ** From Spain they went to Ireland, and from Ireland, several members of the party went to Scotland. The Stone was first used in a coronation in Ireland, but it made the trip across to Scotland, where it resides today. Scone Palace, where the Stone resided prior to 1296. Now back to verifiable history. For thousands of years the stone was used in Scottish coronation ceremonies. It was just as much part of the coronation ceremony as the orb and scepter are today. 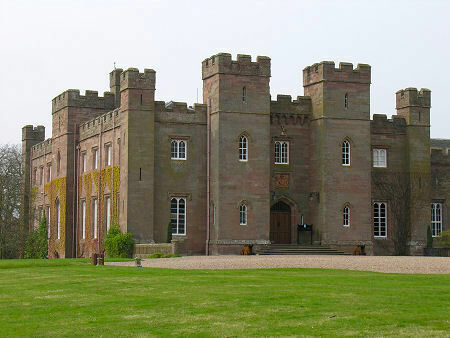 The Stone was kept at Scone Palace, which is located in modern Argyle. The stone remained here until 1296 when Edward I conquered Scotland for the English. 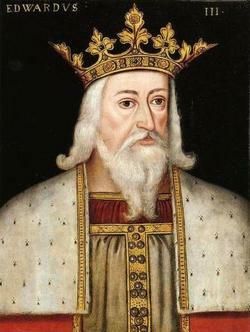 Edward took the stone back to England with him, and had it housed in the bottom of a chair, whereupon every proceeding English monarch would be crowned. Fast forward about 700 years to 1950. 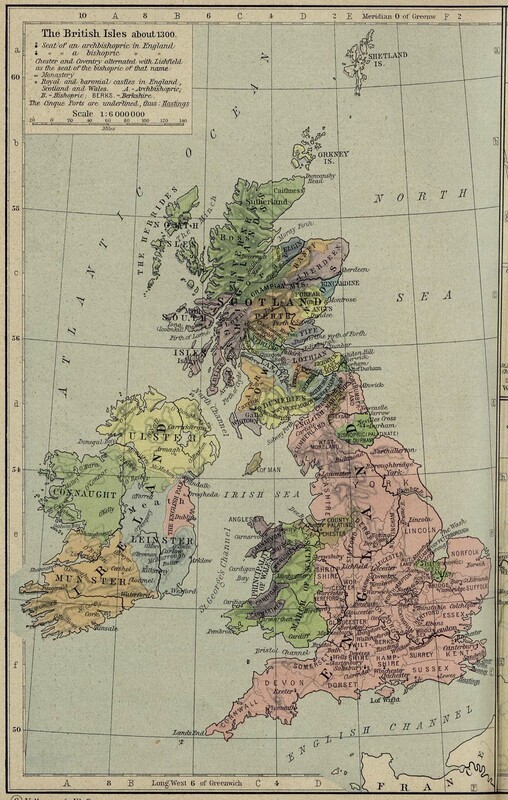 The United Kingdom is somewhat less united, but it's still going strong. There's been a surge of Scottish nationalism (unsurprisingly), and a crew of four enterprising young Scots broke into Westminster Abbey, and stole the stone out of the chair. They then proceeded to sneak it back into Scotland, avoiding roadblocks and the British police. A few months went by, and the thieves left the stone in the ruins of Scone Abbey, wrapped in a Scottish flag. The stone was returned to Westminster Abbey, and was present for the coronation of Elizabeth II. The Stone remained at Westminster Abbey until 1996, when it was finally returned to the Scots by the English government. The stone now resides in Edinburgh Castle, where it will stay until the next English monarch is crowned. After the coronation, the stone will be returned to its rightful place back with the Scottish people. Edinburgh Castle, where the stone now lives. Whether or not the Stone actually came from Ancient Israel, there is no doubt that the Stone of Destiny is a strong and powerful symbol of Scottish Nationalism. It represents the Scottish people, and is a concrete reminder of a long and storied heritage of rebels and warriors. And while the Kings who were crowned upon the Stone may have been lost to history, the Stone itself will never be forgotten. *Standard using-the-bible-as-a-source disclaimer: While the Bible may not be accepted as truth across all religions and creeds, the Old Testament provides a valuable insight into the laws and culture of the Israel-Palestine-Mesopotamia-Egypt areas of the BCEs. 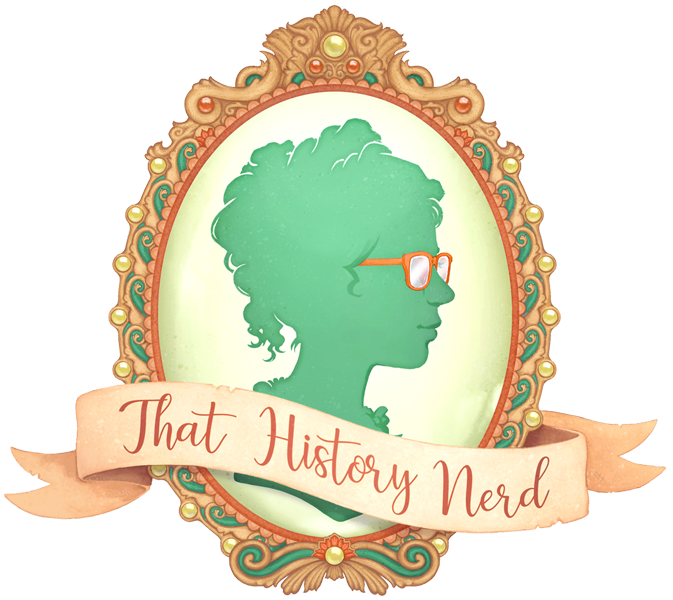 Whatever you believe, you cannot deny the influence that Judeo-Christian writings and ideas have had on history. I reference the LDS Edition of the King James Bible. Why? Because I'm familiar with it. **I must take a moment to express my doubts. The Stone weighs about 336 pounds. I can't imagine hauling something that heavy from Beth-el to Egypt to Spain to Ireland to Scotland. But people do crazy things in the names of sentimentality and religion, so my doubts may be unjustified. ***Of course, we do have to consider the fact that Queen Elizabeth might just live forever. Scientists would have you believe that immortality is impossible, but I have faith in the old gal. If anyone can live forever, it'll be her. The year is 1746, and the Scottish countryside is in turmoil. Bands of British soldiers scour the countryside for Jacobite supporters, while ravens still circle the field of Culloden. People hide their bagpipes and their swords wherever they can, and the Hanovarians brook no resistance. Meanwhile, a young, handsome prince trailed by a few of his exhausted, but devoted followers flee through the Scottish highlands for their lives. Prince Charles Stuart is weary and heartsick. His brave rebellion, once so noble and optimistic has come to a screaming, bloody halt. The screams of the fallen still haunt him, and he knows it's his fault. Yet, the Highlanders do not condemn him. They offer shelter and safe passage, despite the bounty on his head. He would have been dead a thousand times over if not for their help. It's the dead of night when they dock at Benbecula. The sea is dark and inscrutable, the scent of salt drifts on the breeze. Charlie and his remaining followers hide in the craggy rocks of the coastline while Captain O'Niell scouts the land. Charlie can feel every dull pounding of his heart as he wraps his arms around himself to try and get warm. Why does it still beat when so many others have been stilled? It was his pride, his arrogance, after all, that brought death to so many bright young men. The people he strove to protect, to liberate, he'd decimated them instead. The name of Stuart had once meant hope to so many people, now it just stood for death. A sharp call pierced the air. 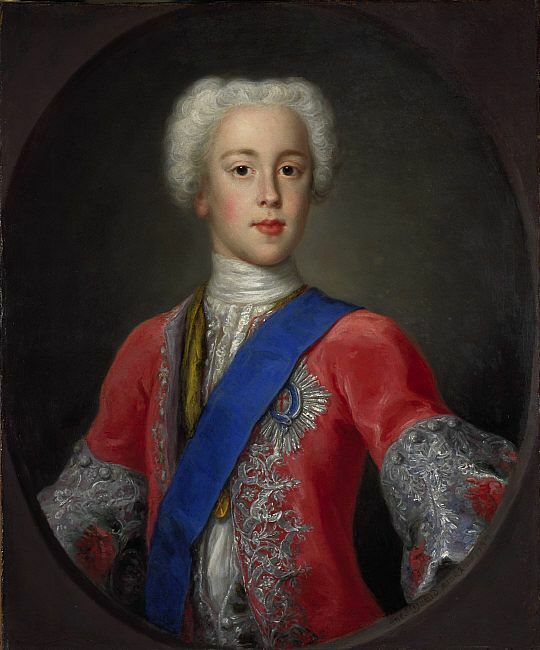 Prince Charlie stirred. Captain O'Niell was back. The Captain poked his head around the weathered rock, "I've found a place, my prince." he said, "A Miss MacDonald said that she would hide us." 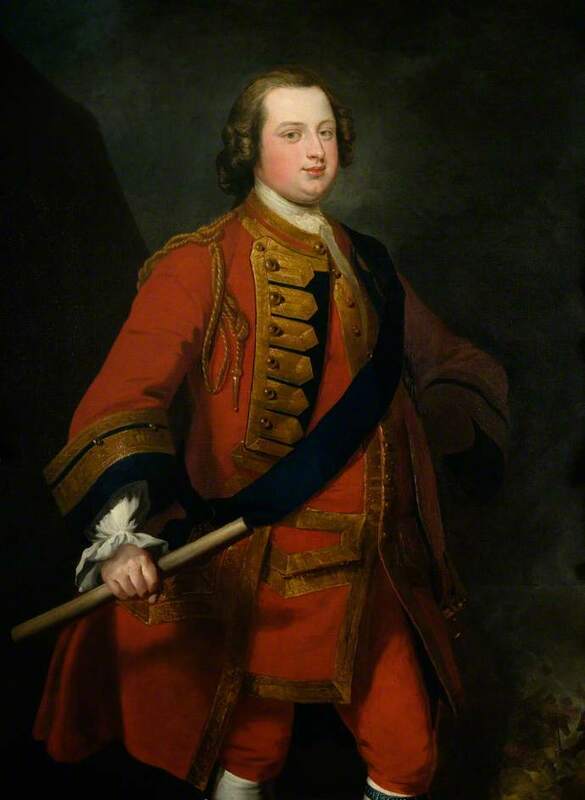 Bonny Prince Charlie is perhaps one of the best known Scottish folk heroes. Right along side him is Flora MacDonald is a Scottish heroine best known for assisting Bonny Prince Charlie escape to the Isle of Skye. Obviously, the above is fiction, but you cannot deny that Flora's encounter with the Young Pretender had more than a touch of romance to it. Flora MacDonald was born on the Isle of South Uist in the outer Hebrides. She was educated and most likely wealthy, the ward of the Chief of Clan MacDonald. At the time she met Charlie she was engaged to an Allen MacDonald, a soldier in the Hanoverian army. 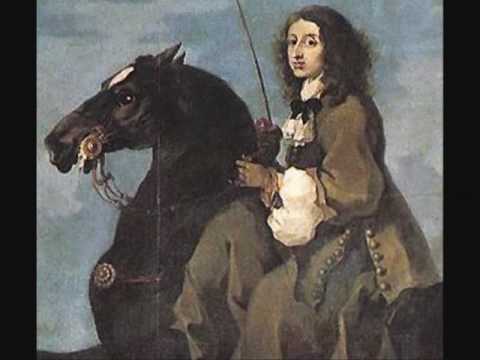 Despite her fiance's affiliations, and the fact that her step-father was also a part of the Hanoverian army, Flora was persuaded to help the Prince escape to the Isle of Raasay. She used her influence over her step-father to obtain a travel pass to mainland Scotland. She took the Prince with her, disguised as her maid. Once out in the water, Flora changed course for the Isle of Raasay. The Young Pretender disembarked there, leaving her with only a locket containing his portrait, and the crime of treason. Once word of Charlie's escape spread, Flora was imprisoned in the Tower of London. Luckily for her, her story doesn't end there. She was released from the tower, and married her Allen. She then went on to fight on the British side of the American Revolutionary War, and stand up to French Privateers. She was a remarkable woman in no way defined by the men she loved. But I still really want a historical romance novel about her and Bonny Prince Charlie. Because it would be the perfect story. They had two days, maybe three together. She was saving his life, and he was the handsome, rakish ladies man. It would make for a fantastic story, and I will make brownies for whoever writes it for me.